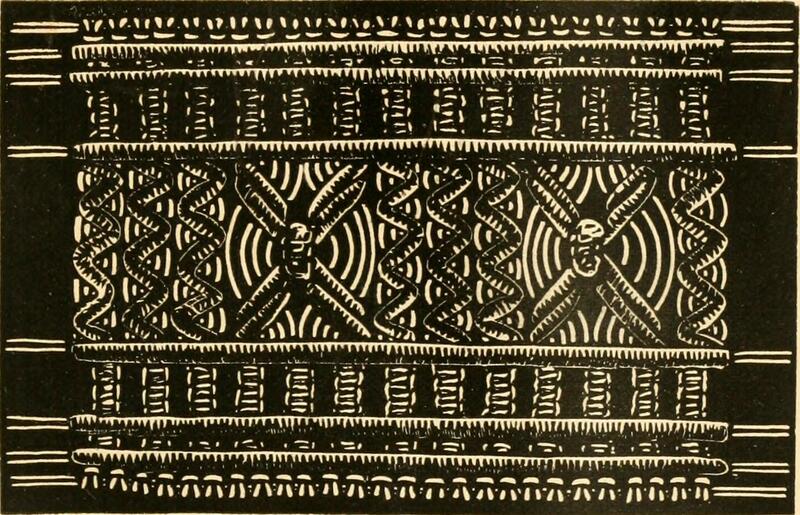 Macramé is a form of textile produced using knotting techniques. The primary knots of macramé are the square knot (a variant of the reef knot) and forms of “hitching”: various combinations of half hitches. 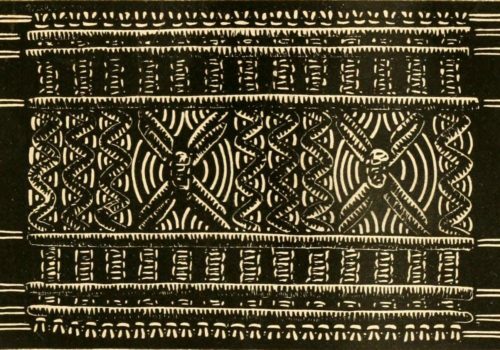 It was long crafted by sailors, especially in elaborate or ornamental knotting forms, to decorate anything from knife handles to bottles to parts of ships. Cavandoli macramé is one variety that is used to form geometric and free-form patterns like weaving. The Cavandoli style is done mainly in a single knot, the double half-hitch knot. Reverse half hitches are sometimes used to maintain balance when working left and right halves of a balanced piece.